It was a pleasure for us to welcome Anastasiia Bortnikova, representative from the European Education Center of Kyiv National University of Trade and Economics (KNUTE), within the framework of the Erasmus international credit mobility project between KNUTE and Audencia. 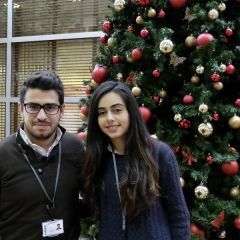 From June 18th – 22nd 2018, Anastasiia Bortnikova had the opportunity to visit Audencia’s campuses, gain in-depth knowledge of Audencia’s programmes, meet with the international relations team and attend an end of semester debriefing session during which KNUTE students currently enrolled in Audencia shared their experience and impressions. 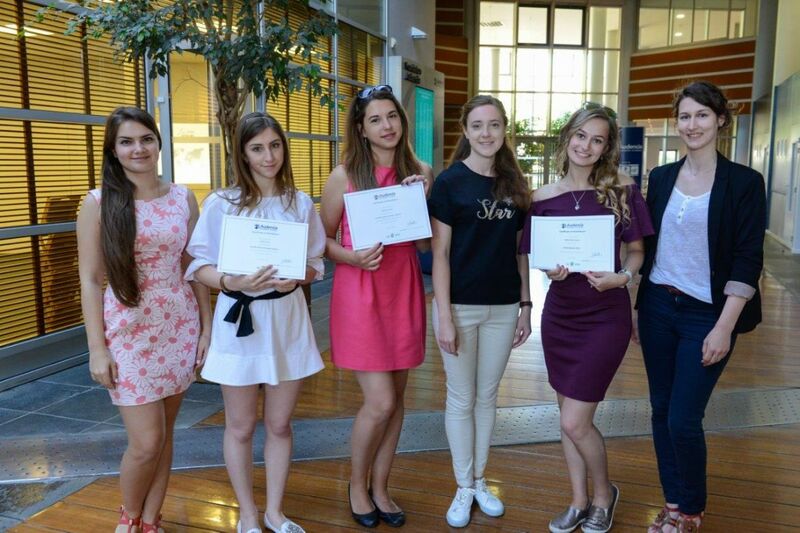 Thanks to this Erasmus international credit mobility project, 4 students from KNUTE received financial support from Erasmus+ EU funds in order to come to Audencia as exchange students in the Spring semester and Summer term of 2018 and 2 students from Audencia received financial support to spend one semester in Kyiv. The Erasmus+ grant proves to be a good incentive for KNUTE students to study abroad. 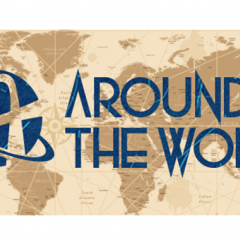 Indeed, spending an exchange semester abroad is not very common in Ukraine and funding is one of the biggest obstacles for many KNUTE students looking to study abroad. The Erasmus+ grant is also a means of increasing the quality of mobility through greater selectivity. Moreover, the Erasmus international credit mobility project also allowed KNUTE and Audencia to organise staff mobility for teaching and training. An associate professor from KNUTE visited Audencia in 2017 and each institution hosted a staff member from the partner institution for a week. Staff mobility for training was aimed at assessing the implementation and feasibility of the KNUTE-Audencia international credit mobility project, exploring opportunities to enhance cooperation between KNUTE and Audencia, sharing best practices in terms of coordinating exchange programmes as well as attracting and welcoming international students. Training periods have enabled KNUTE and Audencia staff members to enhance their intercultural skills and gain in-depth knowledge of the partner institution. 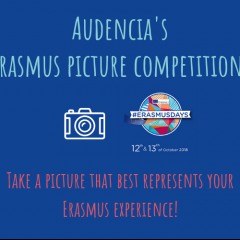 The Erasmus international credit mobility project has contributed to strengthening the relationships between KNUTE and Audencia and we are looking forward to a fruitful cooperation in the coming years.